Last week, Ranveer Singh's Simmba makers welcomed Sara Ali Khan on board for the film and now, actor Sonu Sood has joined the team, reports news agency IANS. The announcement comes a couple of days after R Madhavan, currently recuperating from his shoulder surgery, revealed that he can't be a part of the film due to health reasons. Sonu Sood describes his role in Simmba as 'challenging' and told IANS, "I can't reveal much about the character, but all I can say is that it is one of the most challenging roles that I will be playing." He will be seen as an anti-hero. Of his role, Sonu Sood added, "I think it's exciting to have a role with multiple layers... and something which challenges you to work on it, always gives a high to an actor. This is something which will need me to work a lot and study a few things. Once the film comes out, people will come to know about it. And yes, it will put me to do some kind of homework." Madhavan's tweet about Simmba read as, "Hey folks.. So, I am a huge crazy fan of Rohit Shetty and his films. As is my son. It breaks both our hearts that I'm not able to be a part of this film because of my injury. I'm well on my way to recovery but this is a huge opportunity and excitement lost." Simmba is directed by Rohit Shetty and produced by Karan Johar. It will be Sara Ali Khan's second film. She is being launched by Abhishek Kapoor with Kedarnath, which also stars Sushant Singh Rajput. 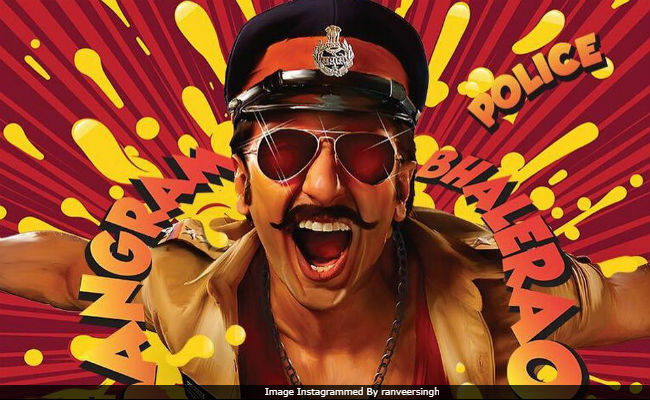 In Simmba, Ranveer Singh plays the role of a cop Sangram Bhalerao. The film is expected to release on December 28.